Music doesn't exist in a vacuum. The place, the space, the acoustics: they can have as much of an impact on the sound as the music itself. With Argo, finding the space is as important as finding the right performers, composers and artists and creating the perfect program. In fact, often it comes first, discovering an inspiring space and creating an experience tailored to its unique qualities. Read on to learn about the spaces we're exploring in 2017. For Argo's Season Launch, saturation, we're taking over the performance space at the Judith Wright Centre, building a giant sculpture of sails hanging from the ceiling and brought to life with visuals reacting constantly to the music. Named after the celebrated poet, the Judith Wright Centre in Brisbane is home to a unique blend of cabaret, circus, dance, music and contemporary performance, located right in the heart of Fortitude Valley’s creative district. 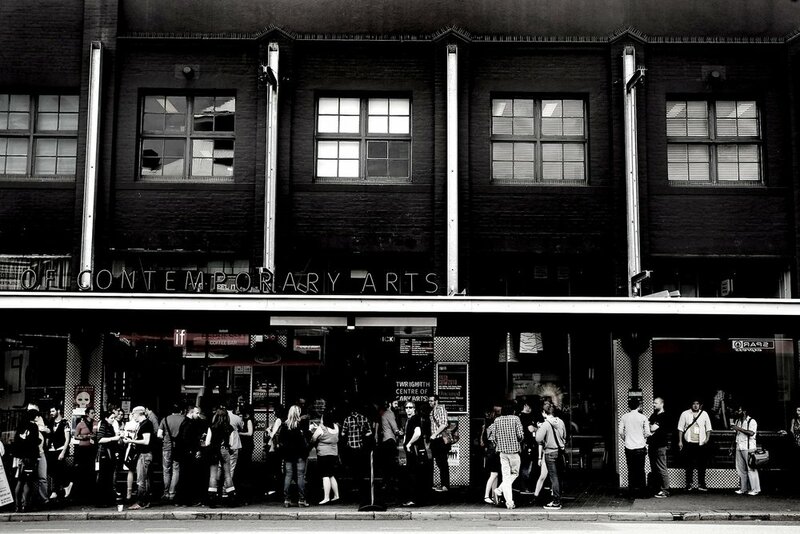 In earlier times the buildings which formed this Fortitude Valley venue were tea and biscuit factories. Today, the "Judy" as it is affectionately known, exists to nourish the creative energies of Queensland artists and companies. Judith Wright talked of her poetry as a form of love that comes to you as an impulse. And so it is for many resident companies and artists creating across visual arts, performing arts and for screen. The Judith Wright Centre as a building breathes through the community of passionate people that work and create within its walls. An initiative of the Queensland Government operated by Arts Queensland, with renovations designed by Cox Rainer Architects, the venue was developed to house facilities such as a 300-seat performance space, modern art gallery, artist studios, a screening room, purpose-built administration and storage amenities, workshops and theatre, music, dance and circus rehearsal spaces. To bring the project to fruition, the Queensland Government formed a unique partnership with seven founding arts organisations: Elision Contemporary Music Ensemble, Expressions Dance Company, Circa: Rock 'n' Roll Circus Ensemble, Kooemba Jdarra Indigenous Performing Arts, the Institute of Modern Art, The Arterial Group and the Brisbane branch of the Australian Film, Television and Radio School. Today, the Judith Wright Centre continues as a home to Circa, Expressions Dance Company, Aboriginal Centre for the Performing Arts, Flying Arts Alliance and the Institute of Modern Art, as well as a number of creative industry tenants including Carbon Creative, with the experience made complete with Arthouse Coffee by day, Slingshot Bar+Gallery by night and Rogue Spice Canteen + Bar for lunch and dinner! Venue programming was initiated to open up access to the Judy’s cutting-edge performance spaces to non-resident companies and artists. Initially focussing largely on world music, programming has evolved over the last decade to encompass cabaret, circus, dance and contemporary performance. In one of Argo's most exciting projects of 2017, to the sky, we will set our audience amongst the stars in the Sir Thomas Brisbane Planetarium.  Established in 1978 by Brisbane City Council, the Planetarium is located within Brisbane's Mt Coot-tha Botanic Gardens, and is home of the Cosmic Skydome, a 12.5-metre-diameter projection dome. In 2017, Argo returns to one of our favourite spaces, underground in the heritage-listed Spring Hill Reservoir, for to the earth. Spring Hill Reservoir is located in the heart of Brisbane (look for the Old Tower Mill!). 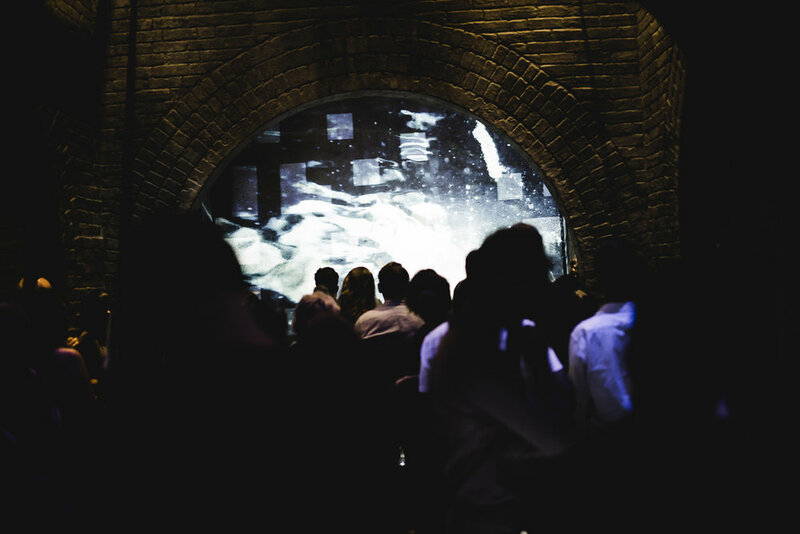 An architecturally astonishing space burried six metres underground, the reservoir is divided into 15 sections by headwalls, with each section joined by hand-lain brick archways, which have been standing for 140 years. Left abandoned for decades, the reservoirs have been refurbished into a performance space both eerie and captivating. Please note: the venue is suitable for patrons of all ages who are fit and able to descend stairs into the stunning Spring Hill Reservoir performance space. Also, please wear inclosed shoes. Following on for our 2016 collaboration, Argo teams up with the Queensland Music Festival to present a special two-night event exploring two of Brisbane's unique and unusual spaces, to the earth // to the sky. Queensland Music Festival (QMF) is a state-wide celebration of musical excellence with an international reputation and an unparalleled geographic reach. The Festival collaborates with the best of local, national and international talent to bring a broad tapestry of music to Queenslanders from all walks of life, in Brisbane and in regional and remote centres from the Torres Strait to the Gold Coast. Since 1999 the Festival has engaged audiences of more than one million people through projects in 82 regions across the State. QMF has redefined the traditional festival model to engage deeply with communities over time, igniting artistic potential and leaving a lasting legacy. In collaboration with councils and communities, QMF inspires participation in music-making and performances that reflect local culture and tell local stories. The Festival has received national recognition for recent projects involving large-scale engagement and community participation. These include the World’s Biggest Orchestra in Brisbane, Boomtown in Gladstone, Behind The Cane in Bowen, Ailan Kores on Thursday Island, the Cape York Instrumental Project in Aurukun, Hopevale and Coen, Heart of an Open Country in Tambo and the establishment of the Yarrabah Band Festival and revival of the Yarrabah Brass Band in Far North Queensland. At QMF, we seek to deepen and broaden our partner relationships for the benefit of all of our stakeholders. Our vision is to transform lives through unforgettable musical experiences. Partnering with QMF presents an opportunity to support this extraordinary vision, inspiring communities and creating lasting impacts across the State. In 2017, Argo takes you behind the scenes of Opera Queensland, transforming their studios into an intimate performance space – a void into another world. Opera Queensland’s Vision: A Boundless Landscape of Opera Experiences reflects the richness, expanse and diversity of both the operatic art form and Queensland itself; while our Mission: To reflect, celebrate and enrich life in our communities articulates the important role the arts play in contemporary Queensland life. One of Australia’s major performing arts companies, OperaQ seeks to create an environment of risk-taking and innovation. Throughout opera’s 400 year history, composers, performers, conductors, directors and designers have pushed the boundaries of convention, broken the rules to achieve new levels of creativity – and audiences have kept up. Today, as we look to opera’s future it’s even more vital that there’s a place within our company for Adventure. In collaboration with the Queensland Art Galley, Argo takes over the Watermall, a vast indoor water-feature which will have Yayoi Kusama's iconic work Narcisuss Garden filling its waters, for one night as part of Argo's 2017 Season Finale, infinity. The Queensland Art Gallery | Gallery of Modern Art (QAGOMA) is a single institution located across two adjacent river-side buildings in the Cultural Precinct at Brisbane's South Bank. Our vision is to be the leading institution for the contemporary art of Australia, Asia and the Pacific. QAGOMA holds a Collection of over 17,000 works of historical, modern and contemporary art, and stages a dynamic program of Australian and international exhibitions. We are home to the Children's Art Centre which collaborates on interactive artworks with leading artists from around the world, and the Australian Cinémathèque, the only dedicated cinema facility in an Australian art museum.